In more evidence of global warming, Santa has had to issue a new uniform for his helpers this year. Experts forecast that by Christmas 2008 even these uniforms will be too hot to wear. When the alarm went off at 4.40 am on Monday 10 December 2007, it seemed that this week would be very similar to the last few weeks. In the previous seven days I had been to Cornwall, Wiltshire, Suffolk, London and Brussels. This week would be different, though, the one in which I really found out where the European Union is going. I flew to Strasbourg on the 7 am flight from City Airport. To my surprise, there were no delays and the journey went very smoothly (in both September and October Air France had failed to get me home on the right day). Once in my Strasbourg office – which is little larger than a rabbit hutch – I had a few precious hours with hardly any people around. My mail and e-mail messages clog up badly when I am on the road, and I used my time to get up to date. As the afternoon progressed, the building started to fill up ahead of the opening of the parliamentary session at 5 pm. It all looked perfectly normal. But I had other ideas. Since I was first elected in 1999, I have always tried to behave well in the European Parliament. What I have said has often caused outrage, but I have always stayed within the rules. However, the sheer dishonesty with which the failed EU Constitution has been repackaged as a Reform Treaty suggested to me that if the EU would not abide by any rules, there was no reason why we MEPs should. This treaty is a deliberate attempt to stop countries holding referendums. 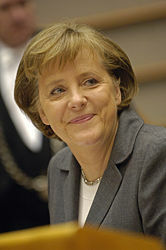 As the German Chancellor, Angela Merkel, has said, “The substance of the Constitution is preserved. That is a fact.” So on Monday evening I began a series of meetings with MEPs to outline my own ideas on the subject. On Tuesday, I spoke to a lunchtime get-together of Eurosceptic MEPs and suggested that now was the time to begin a campaign of obstruction in the European Parliament to protest against the dishonesty associated with the treaty. I was rather surprised to find that everyone in the room agreed. The protest was to begin the very next day when a “solemn signing ceremony” of the Charter of Fundamental Rights was due to take place in the Parliament. We agreed that we would don T-shirts with the word “Referendum” emblazoned across them and four teams were appointed to smuggle four large “Referendum” banners into the chamber. The plan was taking shape. We also agreed to examine closely parliamentary procedures to discover how we could clog up the work of the Parliament before the presentation to us of the new treaty in February. The rest of the day was spent in a seemingly endless series of meetings, which is usual in Strasbourg. As co-leader of the Independence and Democracy Group, I find this is the one time of the month when everyone is together. Our big discussion of the day is the Irish referendum, which will probably take place in May. The UKIP MEPs make a commitment to give a substantial sum of money towards the campaign. Our Irish colleague, Kathy Sinnott, is very pleased indeed. Ireland is the only country where a referendum on this wretched treaty is guaranteed and we shall do all that we can to help when the campaign is on. I agree with Kathy that I will advertise for UKIP members to go to Ireland to help. Towards the end of the day I received a nice surprise – an invitation from the Portuguese Prime Minister to attend the treaty signing in Lisbon. I am sure he would really rather that I were not there, but he invited all the group leaders from the European Parliament. This is good news. Because I have an official invitation and I will now be in the room to witness the event, my costs will be paid. I had already booked to be in Lisbon and the flights alone cost more than £700. I attend all the EU summits because this gives UKIP valuable media time. The day ends with the Ind/Dem Group Christmas party, which finishes much later than I had planned. On Wednesday morning, we head into the chamber for votes at 11 am. Voting lasts for an hour and is the usual awful experience. The only light moments come when the chairman gets the result wrong and is corrected by Graham Booth shouting out, “Check the result!” Hundreds of EU laws are passed without the results of votes ever having been proved to be correct. Such is the EU! When voting ends there is quite an atmosphere: we are all wearing our T-shirts and there is a buzz in the air. The official plan is for Commission President Barroso, Council President Socrates of Portugal and European Parliament President Pottering to sign the Charter of Fundamental Rights in solemn silence and then to round of the proceedings with the so-called EU Anthem. It does not quite work out like that. The event is preceded by the usual speeches which tell us that “this is what our citizens want” etc. As Mr Pottering speaks, I keep telling everyone, “Wait until you see the whites of their eyes.” This, however, proves to be unsustainable when Mr Socrates takes the podium – all of us wearing T-shirts stand up, while around the auditorium the four giant banners are unfurled. These actions are met with a barrage of shouts and abuse from both sides, so that Mr Socrates is unable to speak through the noise. This provokes a standing ovation for the Council President from the other side. And then it starts. To begin with, just a few members start a chant of “Referendum! Referendum! Referendum!” Then more join in, but after a while this stops and the speeches continue. Mr Socrates has dealt with this well, but when Mr Barroso rises, he looks as if he does not want to be there and finds the heckling difficult to deal with. The official signing takes place against a now pretty constant chant of “Referendum!” and then the music begins – “Ode to Joy”, the EU Anthem. (Remember, this is the anthem that Gordon Brown tells us is not now part of the treaty.) The Eurosceptic chanting is so loud that I can barely hear the music. In front of me, a very large German MEP, who had been hurling abuse at us earlier, stands to attention: this is the anthem for a state, and they really believe in it. They believe it so firmly that they are prepared to ignore public opinion and “no” votes in referendums. This is the new nationalism and it will stop at nothing. It is dangerous and it is frightening. Some of the aftermath of our demonstration was fairly ugly. A Labour MEP was highly abusive to me and kept pushing and shoving me. Perhaps he was trying to provoke me into hitting him, but I resisted the temptation. The accusation was that we were behaving like football hooligans. Yet our protest would never have happened if Labour had kept its promise of a referendum, and I am sure that UKIP voters would want us to protest at this deception. At 1.30 pm I left for the airport to catch a plane to Paris Charles de Gaulle and from there, after a four-hour wait, on to Lisbon. On arrival, the bags take an age to come through and I do not reach at my meeting until 11.30 pm. Fortunately, our press officer, Clive Page, is busy entertaining our Portuguese anti-EU friends. Given the hour, I opt for a bowl of soup and we discuss the European elections of 2009 in Portugal, hoping that the new party there can make the kind of breakthrough we did back in 1999. Finally slump into bed at 1.30 am – earlier than the night before, at least. The day of the Lisbon Treaty starts early with telephone calls and texts from 6.30 am. Our protest of the previous day has made very big news across the Continent, though it receives hardly a mention in the UK. This makes me angry because it is a pattern I have seen many times before. The UK press just will not acknowledge the extent to which the EU runs our lives, but we keep on trying. Clive and I have breakfast and head for the Monastery Jereminos, a staggeringly beautiful 15th century building constructed to honour Vasco da Gama. It is here that the treaty will be signed and the scene is certainly impressive. We view the auditorium and head into the cloisters for coffee. Around us it seems that almost everyone is smoking cigarettes, even in a monastery. As the time approaches for the ceremony, I decide that I will have a shot at speaking to David Miliband, our very youthful looking Foreign Secretary. I position myself where the great and good will walk on to the podium. A security guard approaches me and I show my government invitation: she is a very beautiful Portuguese woman who, seeing the badge, assumes that I must be very important and allows me to remain. Young Milliband wore long trousers – wonder what he wants to be when he grows up? A stream of European prime ministers and foreign ministers comes past, then, just a few feet away, is my target – young Mr Miliband. “Referendum, Foreign Secretary? That’s what you promised.” Luckily, the security guard does not think I am a knife-wielding lunatic. Mr Miliband looks at me, gives a weak smile and a hollow laugh, and makes his way to the podium. I was the last person to speak to him before he signed the treaty. Once they had all assembled, the first act was – yes, you’ve guessed it – the playing of the EU Anthem. In the hall, everyone stood up, breasts clasped, backs ramrod-straight. I continued to sit in my place, head in hands. This was followed by the same appalling and arrogant speeches that we had heard the day before, then, one by one, 26 prime ministers and foreign secretaries made their way to a table to sign the treaty. Each signature was met with a round of applause and as the name of each country was read out I could only begin to think that perhaps this was really the Eurovision Song Contest. The 27th country to be called was the United Kingdom. We had just one representative, Mr Miliband. He gave some sign of embarrassment but duly signed – Gordon Brown being still three hours away. I thought that whether you were pro or anti the EU, you would find the British performance here cringe-makingly awful. 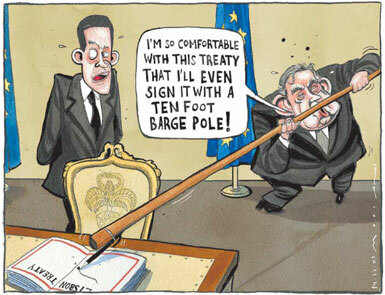 If the Government really wants us to have this treaty, then Mr Brown should have been there. A rather grand lunch had been prepared for the invitees, but I simply could not force myself to spend any more time with the self-satisfied political classes. I preferred to spend the afternoon speaking on radio and television, broadcasting the UKIP view across the Continent. A New Name for Europe? With the signing yesterday of the European Constitution, Federal Europe has become a reality. All meetings of the European Parliament will now conclude with MEPs standing for the European National Anthem. All public buildings will fly the new European Flag. A President will be appointed with executive powers and a Foreign Secretary will speak for all European States. The posts of Chancellor and Defence Minister are expected to be announced during 2008. The President will be supported by a Politbureau. Debate is now proceding behind closed doors over the name for the new nation of Europe. Many of the ruling elete are firmly set against taking the name of United States of Europe because it has similarity with the hated Amercians. The emerging front-runner is European Union of Soviet Socialist Republics. This name will reflect the reality of the new republics that are being created to replace the old nation States. 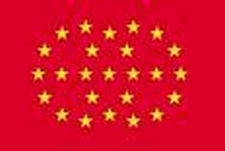 The Socialist Republic of Arc Manche is reported as a great success even though the former British citizens in its western provinces have failed to enthusiastically support it – possibly because most of them are blishfully ignorant that it even exists. Two special task forces are to be established. One will be responsible for assisting the people of Quebec, Greenland and Norway to vote to join the EUSSR. The second group will be responsible for the liberation of the Eastlands. The European Parliament has censored its own television coverage to avoid showing a serious protest in the debating chamber in Strasbourg today. A group of about 80 Eurosceptic MEPs protested loudly as the Charter of Fundamental Rights was signed, with the result that a huge section of UK sovereignty has been swallowed up by the EU. As the demonstration started, TV cameras immediately killed all sound so that none of the protest could be heard and the cameras stayed away resolutely from the large block of protesters. At one stage, The President of the Parliament, Hans Gert Pottering, asked them to leave the chamber. They refused. 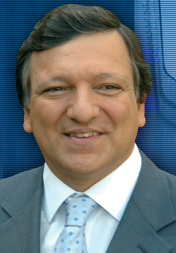 The protest continued during speech by Commission President Jose Manuel Barroso. However as he talked of “greater democracy for Europe” the TV pictures told a different story. Furious at the protests, some MEPs resorted to rough tactics and one member of the European People’s Party dragged a female observer from the Independence and Democracy Group out of the chamber and demanded her camera, which showed footage of the protest. “The high point of this hypocrisy surely came at the end, when MEPs were invited to stand to listen to ‘The European Anthem’,” said Mr Farage. Scottish Prime Minister non-elect Gordon “Bottler” Brown has tried to hide his involvement in the signing of the European Constitution today in Lisbon. After attempting to engineer a prior engagement to avoid even going to Lisbon, he is now planning to arrive after the signing and photo call. There is a story circulating that he is planning to wear a burka to disguise himself from photographers – the mind boggles!!!!! As 2007 draws to a close it has been a year when sport, in its various forms, has been subject to acrimony and hostile debate. Sport originated in the display of military prowess and the Ancient Greek Olympics had a strong political element. In more recent times, sport had come to mean fairness in competition. There probably never was a truly golden age of sport when competitors were ‘sporting’ and participated only for the joy of competition for the sake of a particular sport, but there was never a year more bad tempered and venial than 2007. The America’s Cup was a yachting event famous for the hard fought contest between high performance yachts. 2007 has seen this great race descend into a legal battle and the exchange of open letters, where each group tries to win a propaganda war in addition to attempting to win a court battle. The yachting contest itself seems to now be the minor sideshow to the battle of wills between lawyers and commercial corporations. Ocean yacht racing continues to throw up examples of the finest traditions of sportsmanship and humanity. 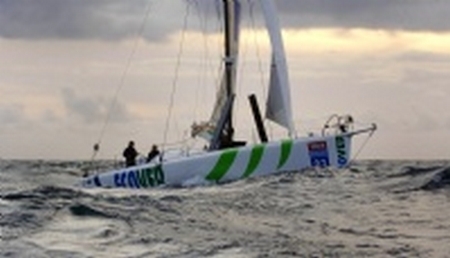 Typical was the action of Mike Golding in abandoning a race through the Southern Oceans to go to the aid of a competitor. In the process he not only gave up a chance to win a race, but he placed himself and his vessel at risk. Battling against storms, he made the rescue and then lost his mast, far from the nearest rescue services. Rescuer and survivor then worked together to limp to safety in South Africa. In several races during 2007, competitors have gone to the rescue of sailors in distress, including the rescue of illegal immigrants attempting to sail to Europe. The darker side of ocean racing is that the risk level has been increasing and, although this is in part due to the competitive nature of sport, it demonstrates the pressures from sponsors that drive some sailors beyond the point where their experience counsels restraint. Drug use has produced some concerning examples during 2007. That the use of illegal substances is widespread in some societies, and therefore amongst their sports people, it presents a danger to drug takers and breaks rules governing sports. There have been a series of claims by sports figures that they have been unfairly convicted by drug testing. Some of those claims may be correct, but many may be false excuses. It highlights a need to not only improve the accuracy of tests, but to demonstrate their fairness, and then enforce the rules. For an athlete to be banned for missing a series of drug tests does not seem unreasonable because this would provide a way of cheating the testing system. For that athlete to then be allowed back to competition on the grounds that they had not been positively tested seems bizarre and unfair to others. There has also be the case of a sailor offering an excuse that someone must have spiked his drink to justify his positive test result. For that excuse to have been accepted also seems bizarre and unfair to others, even though the body governing of that sport might have seen adequate proof. However, if they had been presented with proof, that suggests that another competitor was deliberately attempting to remove competition by administering an illegal drug, which is not only an obvious breach of rules for the sport, but a very serious criminal act that could have resulted in illegal killing. 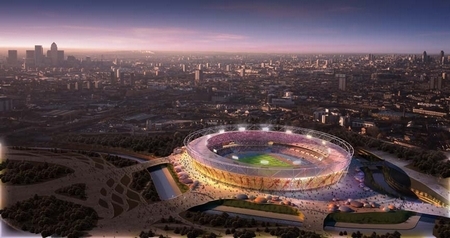 The 2012 Olympics are producing more than their share of controversy, not aided by the rapidly spiraling cost. The British bid included cost estimates and it is now very clear that someone must have realized that they were not accurate costings. As the bidding was a competitive process, it appears that Britain cheated to win the 2012 Olympics for Britain. One defence offered is that every nation cheats in the bidding contest and in past contests there have been examples of corruption. That appears to negate the avowed objective for the Olympics to promote fair and honourable sporting competition between nations. What is clear is that the Olympics have become a major financial event where sport is taking, at best, second place. Sailing competition covers a wide range of vessels from sailboards to high technology keelboats and multi-hulls. 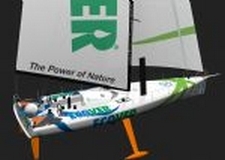 Reducing the Olympic range by eliminating keel boats is restriction too far. The enormous and rising costs of staging Olympic competition is forcing attempts to restrict the number of events and the number of competitors. That has raised controversy in yachting circles where the RYA is complaining that the 2012 Olympics will prevent some traditional and unique yachting competition. Of course the RYA and yachtsmen are not alone because other sports have been cut back severely and some new sports admitted for the first time. Once again, ‘open letters’ are being used by the warring parties to promote their position in a propaganda war. Sport has become much more complex as a result of concepts of professional and amateur competition. Once, many sports were strong in their rejection of competitors who earned their living from sport as professionals. That resulted in parallel competition in sports, such as football and boxing. That has now become a very murky area because some athletes are effectively employed under various grants by universities, that equip them with a significant advantage over other ‘amateur’ competitors and, in some cases, provide most of the benefits enjoyed by professional competitors. Increasing penetration of sport by sponsors is making a difficult moral position impossible. Perhaps the time has come for greater honesty in sport and a breaking up of major high cost events such as the Olympics. One accusation is that the Olympics major on track and field events which would otherwise cease to exist because they are not attracting adequate support, effectively subsidizing those events by including them with popular sporting activity. Those who support field and track events will argue that this is not the case and that they events attract loyal support around the world through the period between Olympic Games. There will also be groups who claim that their favoured sport has been unfairly excluded from the Olympics and the irony that some countries hosting the Olympics may have to include sports that are prohibited in those countries. 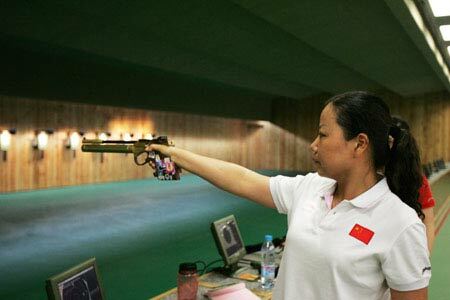 One example in 2012 is that the British shooting team was forced to train in other countries because of the draconian laws in Britain that seek to outlaw all guns for sporting activity. That is both a direct and an indirect effect because the banning of hand guns has made it impossible to purchase and use in the United Kingdom some guns that feature in Olympic competition. This has then had an indirect effect by driving out of business those clubs and gunsmith that served handgun competitors, and placing ever more restriction on the surviving gun clubs and target ranges. The result is that even though special exemptions will be made to allow illegal sport to take place in the United Kingdom for the 2012 Olympics, the numbers of young people coming into the sport is reducing every year and eventually Britain will no longer be able to field a world class shooting team. The simple solution to many of the problems of Olympic competition could be to hold a series of world sporting competitions so that more countries are able to host Olympic level competition without the burden of having to provide facilities for all of the events that currently make up the Olympic Games. In effect, to franchise the Games as a series of major world class events rather than as a single event every four years that leaves some sports supporters feeling unhappy because their events are not included. Potentially, it would provide the means to expand the number of sports that are competed under the banner of the Olympics. For example, why not have an Olympic Round-The-World Yacht Race, or an Olympic hang gliding event, or Olympic Horse Racing? Of course there would be those who would object on the ground that these sports already have their own regulating authority and provide world class competition. The largest countries might also object on the grounds that they would be unable to dominate sporting competition in the way that they currently do. Making the Olympics a more democratic, inclusive and affordable system of competition would offer many benefits around the world, but it would continue to suffer, as does competition at all the other levels of sporting activity, unless it was able to produce a transparently fair way of dealing with drug taking and funding. 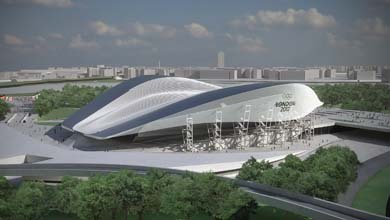 The 2012 aquatics centre may be impressive but will it be used after 2012? Unfortunately real solutions are at least as complex as the problems. The Olympics impose a special problem because they are held every four years and require facilities that do not already exist. That means that the winner of the bidding competition has only four years to put in place and complete a major construction project. Any major project with a fixed completion date is always randsomed to contractors and workers who can demand more money with increasing leverage as the completion date approaches. Once the construction is complete, much of it will become irrelevant once the Games are completed. This is a huge waste of valuable resources and a burden on taxpayers. Unless we begin to address these growing problems, sporting events will suffer and support will fade. Reports that the missing computer disks, containing the personal details of 25 million Britons, were still on Government premises was premature. So far the disks have not turned up and the search is now widening to look for other missing personal information lost by HMRC and other Government departments. Bottler Brown has made much of his boycot of the EU meeting on Africa. His protest turns out to be hollow as usual because he is sending a British representative in his place. Bottler Brown has come up with a great deniability weeze. He is sending Foreign Secretary Millband to sign the European Constitution. That will enable him to deny that he had any part in this betrayal and was not even aware of the Constitution.